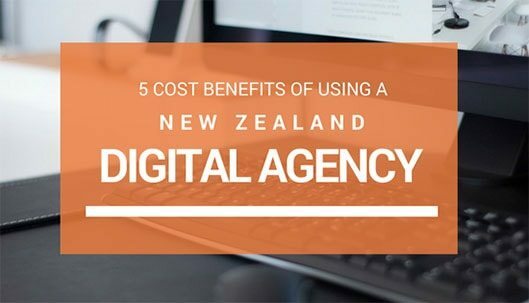 It’s tempting to say that you’ll manage your website changes in-house, and that it’s cheaper than using a New Zealand digital agency. On the surface, it may appear to be the better financial decision, after all, it’s easier to just do it yourself. But which image dimensions should use use? You know your target market backwards. But how do you reach new clients via Google? You might have time to do it tomorrow. But how many months have you been saying that for? After taking all areas into consideration, you’ll find that using a New Zealand digital agency, like Phancybox, to manage your website, is a far more lucrative move. Digital agencies have the availability of their internal teams, and associated digital knowledge to assist in the most efficient manner. Hiring internal staff will realistically only get you so far, as you’d require a blend of a website developer, creative designer, SEO guru, social media assistant and project manager. Instead, reach out to a single point of contact, to have it all taken care of. This is what we do. We work with websites on a daily basis. It’s our responsbility to ensure that we’re up to date with the latest guidelines and best practises, and we know your CMS backwards. From Magento and WordPress ecommerce websites, to Umbraco or SilverStripe, we’re familiar with the nuances of each CMS, as well as the associated code. They say that practise makes perfect. Well, we’ve had a a few years practising… We are also constantly reviewing the most effective method to achieve an end result, and have a few shortcuts up our sleeves to speed things up. We do everything with SEO in mind and have the current best practises down to a fine art. We’ll optimise imagery, content and all other on-page SEO factors by default. This is often the first area to slip by when managing websites internally, but is also the most important in improving your visibility on Google. Our understanding of websites, cms’s and the code that governs it all, allows us to thoroughly test all areas effected by change, even those not visually detected on the front end. While cost is often the first area considered when deciding on using a digital agency, be sure that you’re evaluating all aspects. Given the combination of expertise, time, resources, SEO and testing, can you really afford not to use a digital agency? We create bespoke support and/or SEO packages for each New Zealand company that we work with, suited to their goals and budget. If you’re ready to use your time where it’s best spent, instead of on your website, contact our team for further information, or to request a proposal.